The Bank of England’s forecasts are based on market assumptions that it will raise rates in February next year, three months earlier than when the bank published its last forecasts in May. 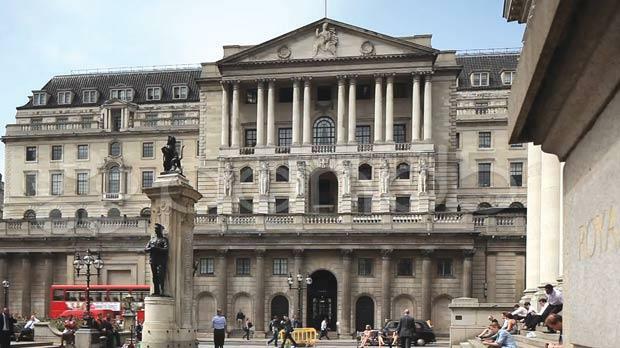 The Bank of England forecast yesterday that wages would grow far more slowly than previously expected and linked their rate of increase closely to borrowing costs, suggesting it was in no hurry to raise Britain’s record low interest rates. Sterling fell sharply to a 10-week low against the US dollar and British government bond prices pared losses after the announcement by the Bank, which caused markets to reduce bets on the possibility of a first rate hike before the end of 2014. The central bank also forecast a bigger fall in unemployment than it had in its last set of forecasts in May – and suggested the jobless rate could fall further than previously expected before wage pressures increased as it edged up its prediction for already strong economic growth. Bank governor Mark Carney said the speed of the fall in Britain’s unemployment rate meant there was now less room for growth without inflation than the BoE had forecast earlier this year. But there were also signs that there had been more spare capacity in the first place than the Bank originally forecast. “Whatever the causes, these developments point to the economy being able to sustain a higher level of employment and lower rate of unemployment without generating additional inflationary pressures,” Carney said. “In light of the heightened uncertainty about the current degree of slack, the Committee noted the importance of monitoring the expected path of costs, particularly wages,” the BoE reported. The BoE’s forecasts are based on market assumptions that it will raise rates in February next year, three months earlier than when the bank published its last forecasts in May. That timeframe would probably make Britain the first major economy to raise interest rates since the end of financial crisis. The central bank stuck with its pre-existing guidance that future rate rises would be gradual and to a level well below pre-crisis norms. The BoE said its policymakers now believed that there was spare capacity of roughly 1 per cent of gross domestic product in the economy. This was down from around 1.25 per cent it estimated in February and May, a figure which Carney yesterday suggested may have been too low. The BoE has said that it wants slack to be largely used up before it raises interest rates. The increased uncertainty about slack meant that there was a wide range of views on the rate-setting Monetary Policy Committee about how much was left, the BoE said.